* Mariell's genuine Iridescent AB Crystal chandelier prom or bridesmaids earrings have a beautiful abstract design with a flower top & pear drop. * These 2 5/8" h silver rhodium special occasion earrings will adorn your formal dress at a fabulous price! 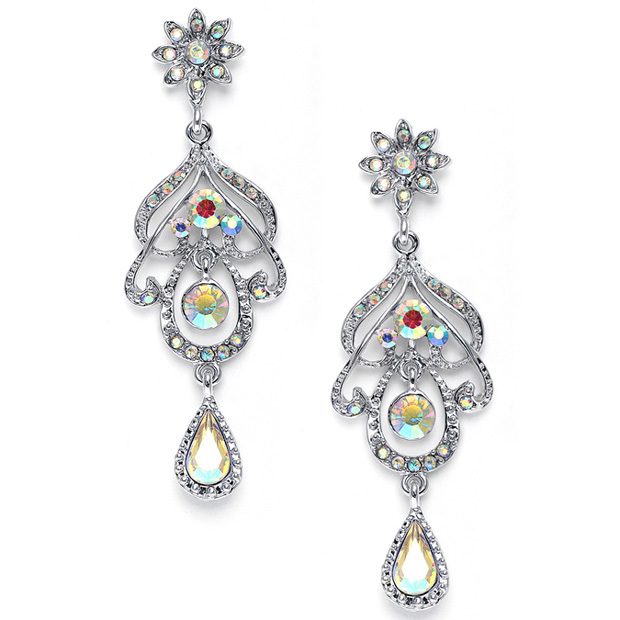 * These wholesale Iridescent AB Austrian crystal chandelier earrings offer your customers a great special occasion look at an affordable price. * Delight your prom, bridesmaids and mother of the bride customers with these striking Iridescent AB earrings plated in lustrous silver rhodium.